This Vietnamese multicultural wedding took place at the Mandarin Oriental Hotel in Las Vegas, what is the only Forbes triple five-star luxury hotel at the heart of The Strip, with breathtaking views of the city and the desert. I was photographing a bride getting ready in her room. 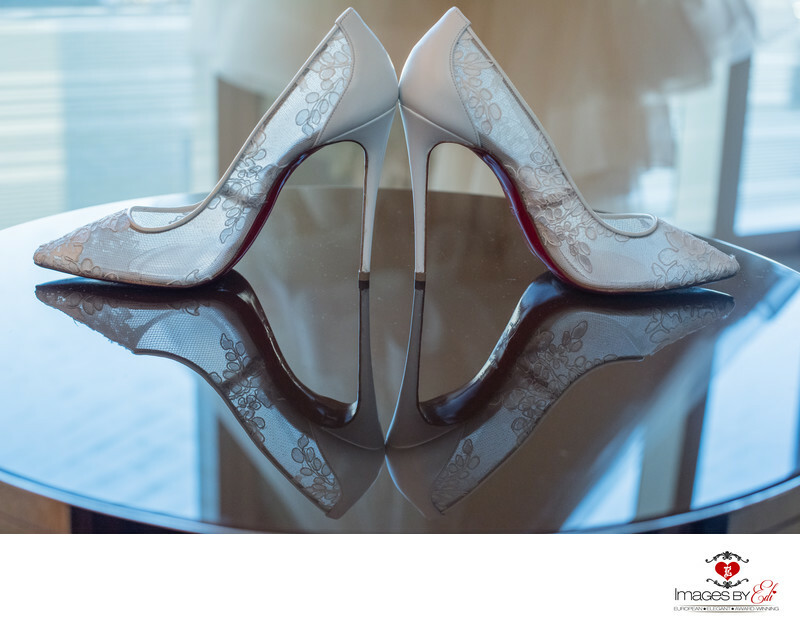 This image of the bride's high heel shoes in front of her dress with a nice reflection on the table. One of my favorite shoe detail images. Location: 3752 S Las Vegas Blvd, Las Vegas, NV 89158..